There are rifts in Oakland—between neighborhoods, ethnic groups, even along the Hayward Fault. But another chasm, a cavernous pothole on Oakland Avenue, may best explain the dynamics behind Don Perata’s bid for mayor. Earlier this month, Perata destroyed his car tire driving through this pothole next to his campaign headquarters. He talked to neighbors and found out he wasn’t the only one who’d had this problem. So Perata—a Sacramento powerbroker who represented Oakland and other East Bay cities in the Capitol for twelve years, including four as the top Senate Democrat—started calling city officials. Before long, he and his staff were speaking with the Public Works Department. Perata learned that the city had paved over the pothole six times in the past year, but not addressed the root of the problem: overflowing water from the sewer system beneath the street. With a booming voice that doesn’t require a microphone at campaign events, Perata frequently describes himself as a “results guy, not a process guy.” In a blue suit and black mock turtleneck, Perata, 65, shook hands among old friends and new acquaintances in a mostly African-American audience at Youth Uprising, an leadership and job training center for teens and young adults near Castlemont High School in East Oakland. He’s quick to remember a constituent who came to him with a problem in county government many years ago or church ministers he’s worked with on social programs. On the campaign trail, the invocation of the pothole problem is a standard Perata theme: What might seem like minor issues on Oakland streets reflect more serious deficiencies at City Hall. He told campaign audiences at both Youth Uprising and West Oakland’s Acorn apartments that the city has “no excuse” for not addressing garbage on the streets of these neighborhoods. Part of Perata’s pitch to voters is the idea he would bring a Chicago-like discipline to City Hall. But could he turn Oakland city government, a hodgepodge of 40 boards and commissions, into a well-oiled political machine? Like Perata, Dellums and former mayor Jerry Brown returned to Oakland from political positions outside the city with visions of changing the culture of Oakland government. Both mayors struggled to bend the bureaucracy in their direction. Perata acknowledges it’s hard to shift from Washington D.C. or Sacramento to Bay Area government, but sees former San Francisco mayor Willie Brown, who had previously served as California Assembly speaker, as someone who made the transition. “Willie Brown has his detractors, but the city worked when he was mayor,” Perata said. In addition to citing Willie Brown, Perata takes a page from the New York mayor Rudy Giuliani playbook—talking about clean streets and top-down accountability. He also has some positive things to say about how current New York City mayor Michael Bloomberg has managed New York City. Dellums has not said whether he intends to seek re-election, while city councilmember Jean Quan has declared herself a candidate and city councilmember Rebecca Kaplan is exploring a run. Perata has the longest record in elected office among the declared candidates in Oakland mayor’s race, dating back to his days as a county supervisor in the 1980s. He can call in favors from business and labor leaders he’s helped during his days in Sacramento, and can also point to legislative accomplishments he brokered in Sacramento on gun control, environmental regulations and health care that have benefited Oakland residents. Perata says he always found a way to align the broader interests of the California Democratic Party with his constituents’ needs in the East Bay. In campaign appearances, Perata presents himself as an agent of active government and accountability. People supporting Perata—including U.S. Senator Dianne Feinstein and the Oakland police union—point to his record of surviving state budget negotiations with Governor Arnold Schwarzenegger and a carjacking on Piedmont Avenue as signs of a decisive leader who’s cool under pressure. But while Perata’s long history in office comes with its share of accomplishments, it also comes with its share of controversies. In a Bay Area that prides itself on its progressive politics and a play-nice ethos, Perata is often the bête noire of the blogosphere. Commenters on the San Francisco Chronicle or East Bay Express bristle at what they perceive as Perata’s heavy-handed style and penchant for wheeling and dealing. One East Bay group has set up an “Anyone But Don Perata for Mayor” website. One deal Perata helped broker has already come under scrutiny in this mayoral campaign. During his tenure on the county Board of Supervisors, Perata backed the agreement between the city, the county, local developer Ed De Silva and Raiders owner Al Davis to renovate the Oakland Coliseum to entice the football team to return to the city in 1998. The city and county voted to guarantee $197 million in loans for the stadium renovations, and both Oakland and Alameda County are still servicing those debts. At the height of his power in Sacramento, Perata faced a five-year FBI investigation into charges that Oakland lobbyist Lilly Hu funneled money into his campaigns. The FBI raided Perata’s house in 2004 as part of its investigation, but he was not charged when the investigation ended last year. He characterizes this episode as a politically motivated vendetta by the Bush administration when he was the most powerful Democrat in California state politics. He says the bottom line now is that he’s now the most vetted candidate in the mayor’s race, and that he’s proud to run on his record. He also doesn’t seem to mind that he’s acquired a reputation as something of a political tough guy, and a small picture of “The Godfather” Don Corleone sits on a shelf in Perata’s campaign office, next to pictures from community centers and social welfare programs he’s helped to establish. 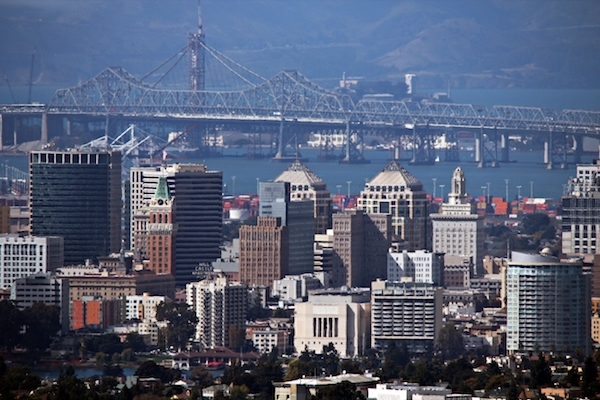 The reference to “first, second or third” reflects a new wrinkle in Oakland politics. This year, the city’s elections will take place under instant runoff voting, eliminating the traditional June primary and moving all voting for city offices to November. Under the new system, voters will rank their choices for mayor, meaning Perata won’t have the opportunity to go one-on-one with any opponent. In this environment, blocs of voters who might otherwise split their votes could coalesce around the “Anyone but Perata” campaign. Even though the votes will be tallied in a new way under IRV, Oakland’s 2010 mayoral contest hinges on the traditional urban politics triumvirate of crime, education and economic development. Crime often takes center stage in Oakland—a city of 400,000 that has averaged 120 annual homicides over the last three years—and Perata is quick to point out that he likes the direction new police chief Anthony Batts has taken the department. On public education, Perata—who was a schoolteacher in Alameda for 15 years before entering politics—has said that Oakland public schools can no longer operate on the “old model.” He has said he thinks that Proposition 98—the 1988 California law that determines public school funding under a strict formula—has harmed public education in California. 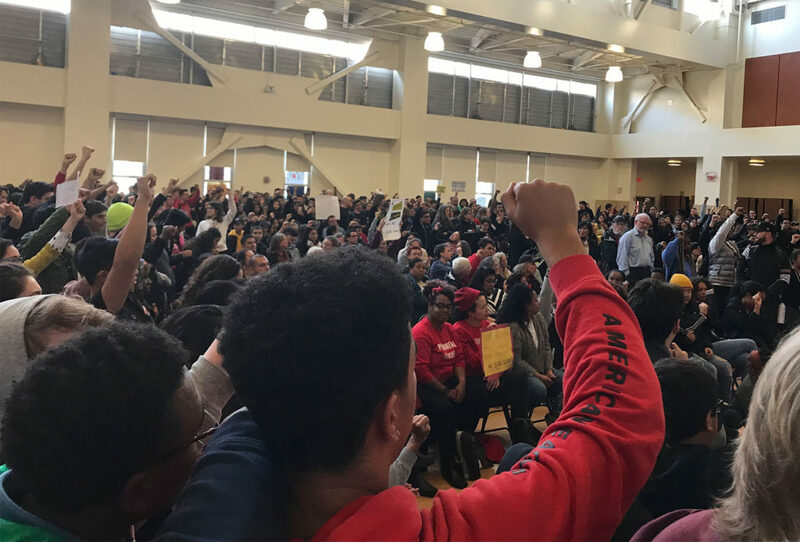 He says the federal and state budget shortfalls mean Oakland will not be able to look to Sacramento or Washington D.C. for more funds, even though the Oakland Unified School District is operating at an $80 million deficit in 2010 and facing teacher strikes. Perata says that OUSD needs to be “smaller and more diverse in its program offerings” as the number of students has declined from 55,000 to 37,000 in the last decade. Despite this exodus of students out of the system, Perata says OUSD superintendent Tony Smith has the right ideas about partnership between the city government and the school district. In making his play as the candidate best positioned to jumpstart Oakland’s economy, Perata has already started soliciting ideas from local business leaders. “For business to thrive in Oakland, the city needs political leadership that understands how to make the government machine work and breakdown barriers to economic growth,” says Carlos Plazola, president of the Oakland Builders’ Association, an organization that has not yet endorsed a mayoral candidate. “I’m impressed with Don’s record of getting bureaucracies to move forward and his ability to deliver on commitments,” Plazola adds. At many of these discussions with local business leaders, Perata has vowed to bring new energy and personnel into the City Economic Development Agency and says he sees great potential for economic development in health care. Perata’s supporters among the city’s African-American leaders include Nate Miley, an Oakland representative on the County Board of Supervisors. Miley was on the City Council that supported Oakland’s “strong mayor” initiative in 1998, and he said that Perata was ideally suited to lead city government under this system. Oakland’s transition to IRV could intersect with the city’s diverse electorate in unpredictable ways. Under instant runoff voting—where individuals don’t have to put all their electoral eggs in one basket—candidates may “microtarget” Oakland voters as never before. For instance, women voters make up more than 53 percent of Oakland’s electorate, and Oakland has never had a woman mayor. Jean Quan—and Rebecca Kaplan, if she runs—may make that appeal to voters. Back in front of Perata headquarters on Oakland Avenue in mid-April, East Bay Municipal Utility District and Oakland Public Works trucks descended on the pothole. They’d removed manhole covers and tested sewage pipes. It’s not clear that the Oakland city government can come running every time Perata calls—even if he wins the mayor’s office next year—but he’s taking it as an encouraging first step. Thanks for a thoughtful piece on the front runner in the Oakland mayor’s race. By the way, the anti-Perata website you referenced is owned by Jesse Allen-Taylor former writer for the now-defunct Berkeley Daily Planet who, along with Robert Gammons of the Express, has bashed Perata for years while posing as an objective journalist. Great background and context on Perata. I forsee going through buckets of popcorn while IRV plays out. DP might have the right idea to encourage medical facilities instead of trying right away to catch up with Emeryville or WC on higher end retail businesses. Either would be a long term project, but retail might need more improvement in crime and overall Oakland attractiveness, than medical facilities would need. But then medical facilities directly only generate use tax on some of their purchases. No biz or prop tax. Results vs process. If that’s more than just a slogan, that’s not so good. Oakland govt needs a mayor who pays attention to changing internal processes and attitudes, so that she or he leaves the local govt in better shape than she or he found it.